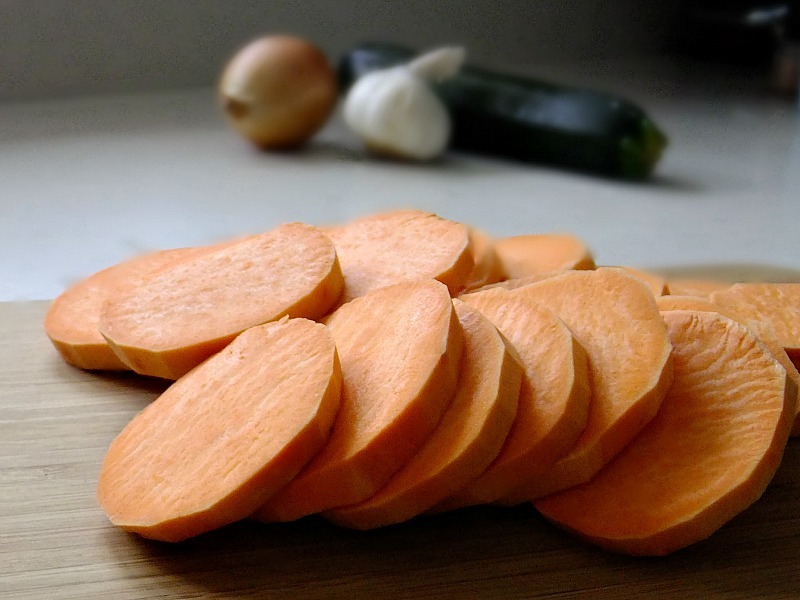 This sounds like a great combinations – two of my favorites, zucchini and sweet potatoes. A while back I accidentally bought the pineapple cottage cheese, too. I was so mad because I don’t like how sweet it is. I like the the sweet and salty combo of fruit on plain cottage cheese. I ended up using some of it to make a sort of white Hawaiian pizza for my little guy. It actually turned out pretty good. Looks so yummy! How did it taste? Delicious, Lorrie! I’ve never tasted a bad Moosewood recipe. 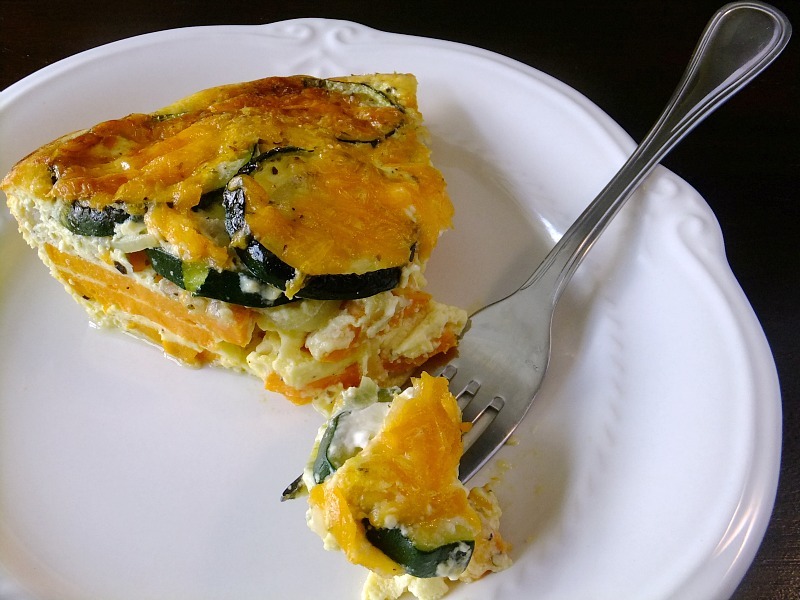 I love frittatas – but I usually serve them for dinner (too lazy to make them in the morning). 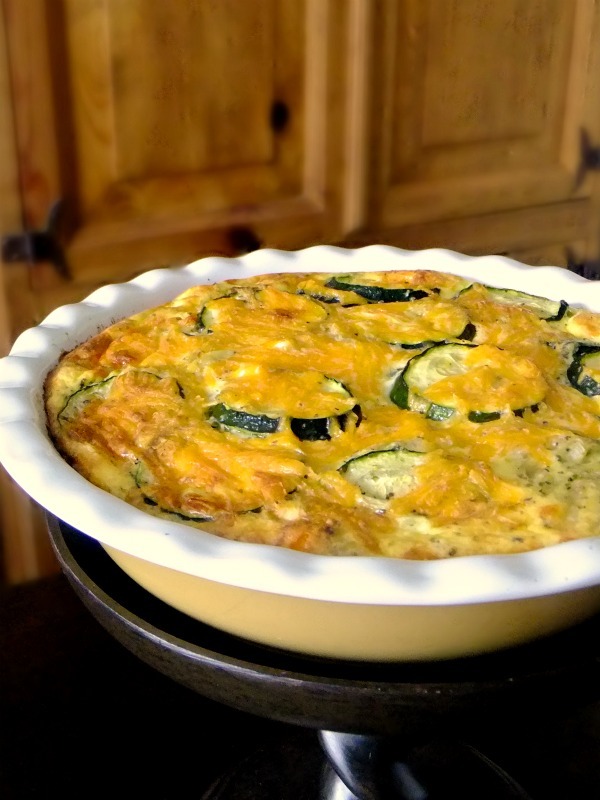 You can also bake them in the frying pan, which is what I usually do (and then flip the frittata onto a plate to serve). Thanks for this.